Our Collector Showcase series is back to introduce some of our most active customers to the rest of our collector community! This month we had the opportunity to speak with Steven Huang from Taiwan about his collection and how he got started, favorite scale and material, and even a few suggestions for new CCM models. Let’s take a look at Steven’s collection! I have been collecting scale models for nearly 15 years. I don’t have a favorite scale, I collect various scales from 1:20 to 1:87 scale. If the model is beautiful and highly detailed I will try to get one. I like both brass and die-cast models. Some of the die-cast models are very nice and detailed, but you will see the difference in detailing everywhere on the brass models. I like dozers very much. 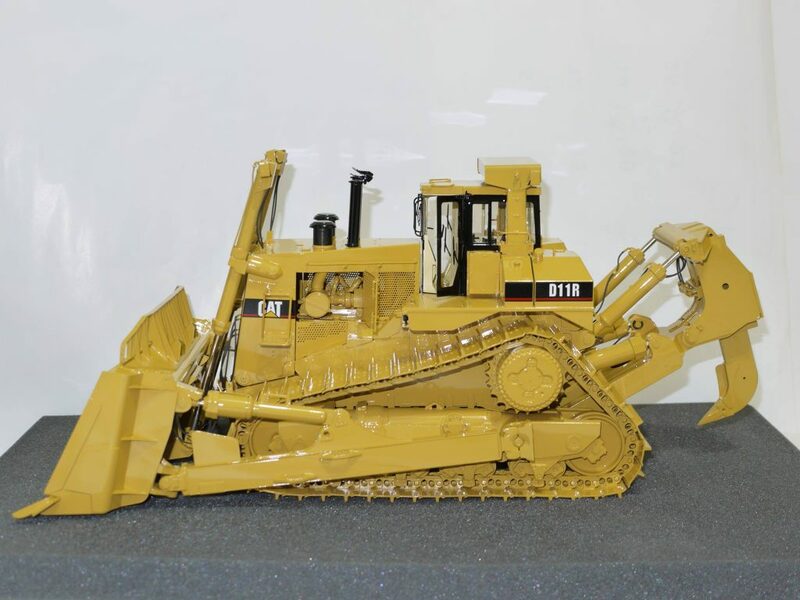 I searched for scale model dozers on the internet and found out about CCM and all the dozers they have produced. I bought my first CCM model from a collector in America in 2010. It is the yellow D11R in 1:87 scale. I am still searching for the Cat 320C L.
No, I haven’t sold any of my CCM models. The CCM die-cast models are very good in details, but the brass models are great! They are highly detailed, quality painting, and with nice materials. A roller. I have been unable to find a brass roller in 1:48-1:50 scale, although rollers don’t seem to be as popular as some of the other machines. I like the classic 3-drum rollers, trucks, dozers, excavators and cranes. I also hope that CCM will produce more excavators in the future. I have a Flickr account with some of my collection on it. Many thanks to Steven Huang for continuing our Collector Showcase series. If you would like your collection to be featured in an upcoming Collector Showcase, please send us your answers to these questions via Facebook message!